So far Bill Cox has created 7 blog entries. No sooner did Jeff Sessions attempt to derail the cannabis industry than he inadvertently lit a fire under it. Session's action drew broad criticism from Congressmen and women across the board. In fact, there was virtually zero support for Session's action to rescind the Cole Memo. US Cannabis to Steal Canada’s Thunder? US and Canadian listed cannabis stocks have been on fire since early 4th quarter of 2017. One catalyst after another has led to stock price appreciation not since 2014 when Colorado implemented the world's first recreational cannabis laws. Last week, Attorney General Jeff Sessions hinted at a shift in marijuana enforcement, just weeks after signalling he would continue Obama era policy regarding cannabis law. This series of flip flopping left cannabis industry activists and investors alike dazed and confused. Considering the market is a psychological beast, speculation seemed to favor a substantial move lower in cannabis stocks for both US and Canadian stocks in the days following Session's comments . Time to Sell the News in Canadian Cannabis Stocks? Buy the rumor, sell the news. It is probably the most common stock market adage, yet so many fail to see it coming. It's happened in the Cannabis industry twice over the last year.. An exponential rise necessitates a correction, nothing can move at such a trajectory indefinitely. 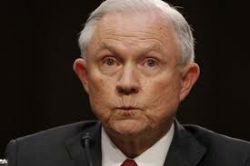 However, [Sessions] changed his tune during today's congressional hearing where he conceded, "Obama-era guidance that allows states to legalize marijuana without federal interference remains in effect". Further he stated, "I believe we are bound by" a federal budget rider that bars the federal government from spending money to interfere with state medical cannabis laws." These statements were given under oath, so it isn't likely he will go back on his word any time soon. Canada’s Recreational Cannabis Market: Everything we Know is Wrong! Catalyst trading is one of many tools used to “crack the code” of profitable stock market endeavors. The most basic aspect of catalyst trading is to foresee coming “hype” within a stock or industry, buy in advance, and sell into the exponential rise.